Some of the new items that will be coming will be clothing items and I am going to continue to work on fashionable and stylish items and accessories and of course will continue with my graphs as well because those are just fun for me. Anyway! On to the news of this post. 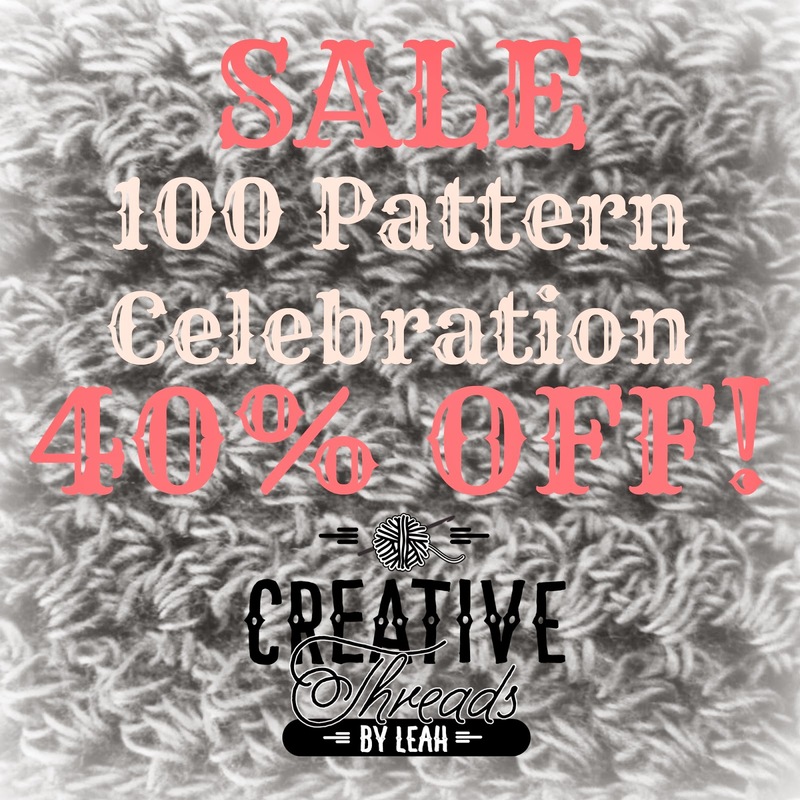 To celebrate 100 patterns, I am going to have a sale! 40% off patterns in my Ravelry store (excluding Pamala line and eBooks). Use the code “100patterns” to get the discount. So tell me, as I continue to design, what are some of y’all’s favorite items to see patterns for?